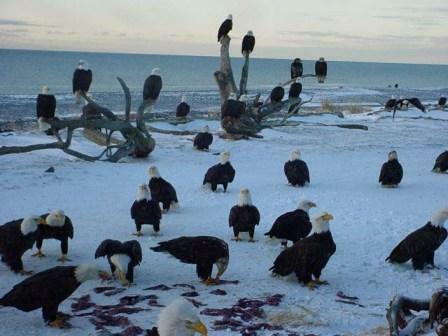 On January 9,1994, a world record of 3,769 bald eagles were counted at the annual Brackendale Winter Eagle Count. 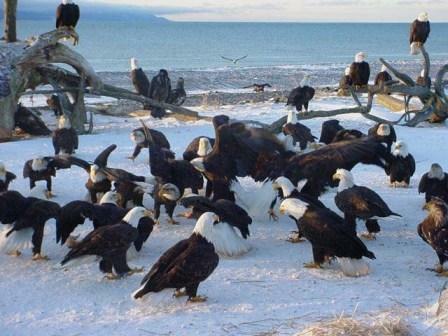 Every winter, thousands of bald eagles congregate on the shores of the rivers surrounding Brackendale to feed on the abundant spawning salmon. Hundreds of eagles at a time can be seen from the river dikes, feeding along sandbars or roosting in nearby cottonwood trees. Two dozen or more in a single tree is not uncommon. 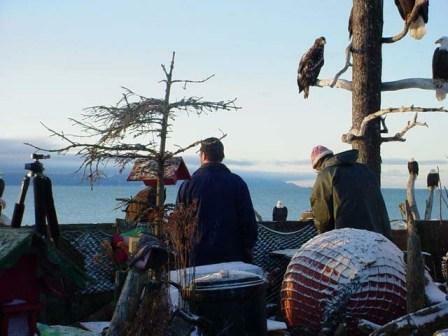 Eagle season in Brackendale is from mid- November to mid- February, with prime viewing in December and January. 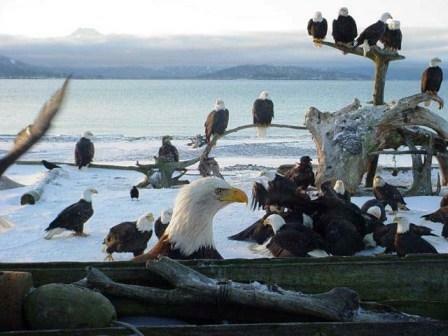 The eagle count is administered by the B.C. Wildlife Service, the Squamish Estuary Conservation Society, and the Brackendale Art Gallery Society. Counters gather, at the appointed time, at the Brackendale Art Gallery. Here they are assigned to the 17 areas, in groups under the leadership of experienced counters, according to their willingness to bushwack or just walk. Warm, waterproof clothing is essential and sometimes skis or snowshoes come in handy. The count is tallied throughout the day as the groups return to the Gallery. 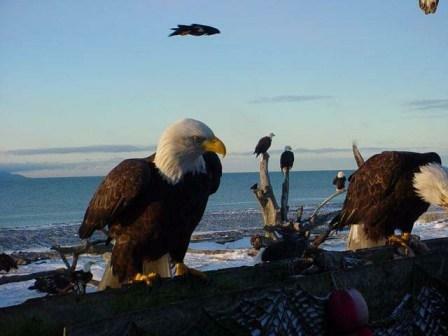 In 1994, Thor Froslev and Len Goldsmith* conceived the idea of establishing an eagle reserve in Brackendale. 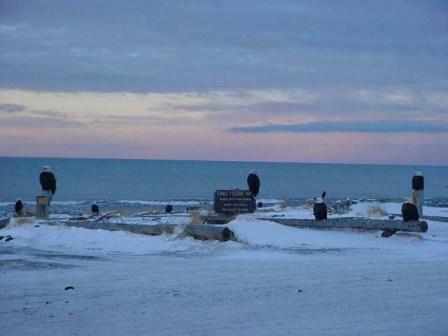 Seventeen local organizations and numerous Brackendale residents petitioned the provincial government in support of the concept. In October 1996 the Brackendale Eagle Reserve, now a Class A park, was approved as part of the B.C. Protected Areas Strategy. The new 550 hectare reserve protects important eagle habitat, keeping it off limits to logging, mining and other development. The reserve takes in public lands, including old growth forests and large cottonwood trees, in which the eagles like to roost, on both sides of the Squamish River from the Mamquam to the Cheakamus River.